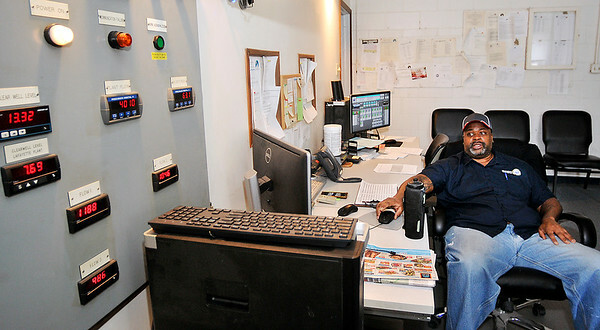 Anthony Wilkerson, certified operator, monitors the equipment in the control room of the Wheeler Ave. plant. “We can check the chloride and fluoride going into the water,” he said. “We can also check our wells and the water tanks from here."